There might be less choice at the beginning of Dragon Age 2, but BioWare's Ray Muzyka says that the game makes up for it later. Unlike its predecessor, you won't be able to play as a Dwarf or an Elf in Dragon Age 2. In fact, you won't be able to play as anyone other than human refugee-turned-champion Hawke, and you'll only get to pick your class and gender. But BioWare boss Muzyka says that despite this more limited beginning, there would be plenty of decisions for players to make in Dragon Age 2. 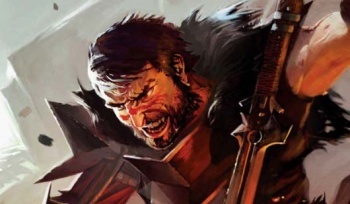 Muzkya called Dragon Age 2 a "first-person narrative" from the perspective of Hawke, saying that the game had been built around Hawke being human, and that BioWare made up for the constraints in character choice with "a lot of other choices" later on. He said that telling a more specific story allowed for it to be more polished and for BioWare to do some "cool things" with the flow of the narrative. He added that the game would not lack for diversity, as there would be plenty of variety in the characters you recruited to your cause. Some people are already annoyed over the reported differences between the first and second game, and it's unclear whether Muzyka's comments will reassure them or just upset them further. It's probably worth mentioning that while previous BioWare games may have let you define your character to a greater degree, you've always been someone very specific - like the child of an evil god or the last Spirit Monk - and in that respect Dragon Age 2 isn't very different at all. Dragon Age 2 is released on March 8th in America and March 11th in Europe.